Click below to see a sampling of the articles you'll find in the Members Section. Find even more in the PDF section of the Gift Basket Review Member Section & Archives. Join today . . . only $69 a year or $129 for 3 year access. Join the $3 billion gift basket industry and be your own boss. But don’t do it alone. Put the resources of Gift Basket Review Online to work for you, As with starting any new business, many decisions will have to be made. Will you work at home or open a warehouse or retail store? Target corporate markets or serve a retail customer base? Stick with gourmet foods or branch out with other gift amenities? Use the methods and techniques developed by Gift Basket Review publisher Debra Paulk, that have become the accepted industry standards to build a better gift basket business. Due to the flexible nature of starting a gift basket business, this entrepreneurial endeavor has been particularly appealing to women searching for a better work/life balance. This low-cost, low overhead start-up venture is often started by one person from their home, growing later into a corporate office space, a retail location or a warehouse facility, adding employees as gift basket sales grow. Many million-dollar gift basket businesses that now operate in huge facilities began as a one-woman business in her basement. But starting a gift basket business can be a costly venture, if started without good advice, guidance, organization, direction, and a solid business and marketing plan. 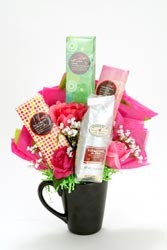 You’ll get all the right advice for starting your gift basket business from the gift basket business information, training and support found through the expansive resources of Gift Basket Review Online, The Gift Basket Review Archives, Gift Basket Review Blog and the collection of gift basket videos, books, and Gift Basket Review magazine back-issues.